Sydney Town Hall’s unique meeting rooms combine 19th century elegance with 20th century technology and The Treasury is no exception. 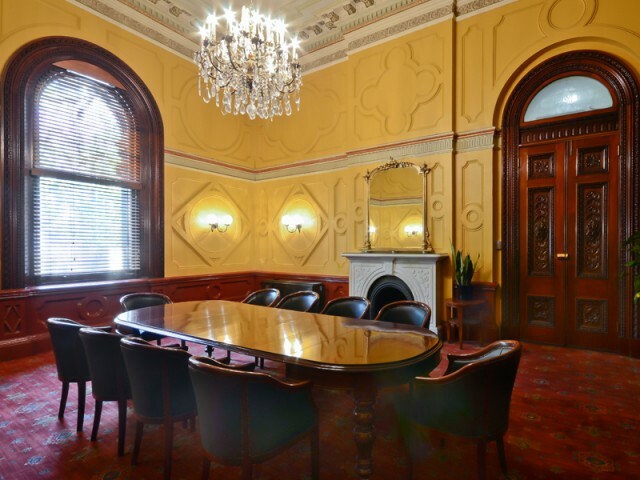 Doubling as two meeting rooms, or a single room with a generous break-out space, The Treasury is a flexible venue right in the heart of the city. Like the adjoining rooms on the ground floor, the Treasury Room was decorated to a design drawn up by city architect David McBeath in 1876. Stylistically, the interior decoration is best described as Italian Renaissance and the combination of finely chiselled geometric plasterwork patterns, richly carved Australian red cedar joinery, etched glass windows, marble fireplaces and gilt mirrors create a chaste but very elegant environment. 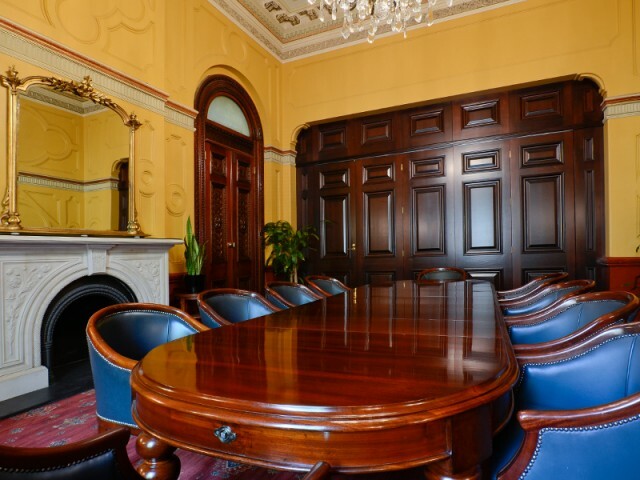 Formerly Council’s treasury office, this large room was divided by a cedar transaction counter. It was here, long before Council’s modern office building behind the Town Hall was erected with its cashier’s booths and one stop shop, that transactions for council’s rates and services were processed by clerks and administrative staff. Receipts and records were carried downstairs to the fireproof vaults below for safe-keeping. 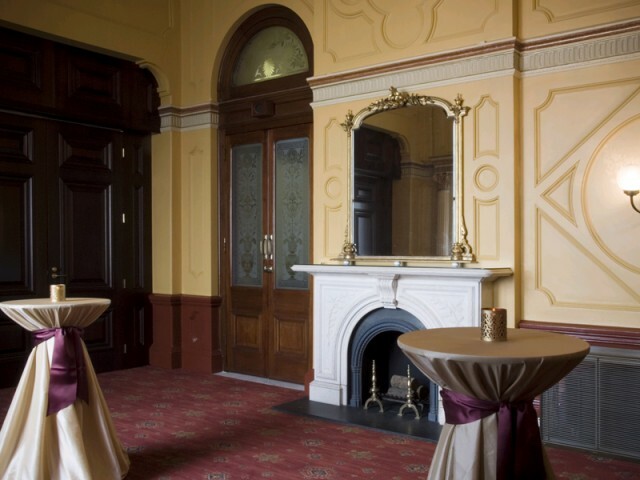 With the relocation of the treasury function to Town Hall House, the large room was refurbished as The Treasury Club Bar in the mid 1990s, a popular central meeting place, much loved by Sydney-siders, for lunch and for patrons attending performances in the Town Hall. Today, The Treasury is a refined venue space which can be adapted for small receptions, meetings and presentations or used in conjunction with the hire of the Vestibule and Centennial Hall.